We are well into summer and most of the heavy lifting for our gardens is done for now. You should be harvesting some of the produce or getting close! Though things like carrots, potatoes and beets may still be on the small side you can be harvesting some of the babies. This is also helpful if you over planted carrots as thinning them makes a huge difference in the latter part of the summer. They will appreciate the extra growing room and will pay you back handsomely Beet leaves are fantastic in salads and baby potatoes are spectacular any way you choose to prepare them. Lettuce, peas, beans, zucchini, and berries all should be harvested as they ripen. Zucchini are fantastic on the smaller side and if you have many, start enjoying them now. Before you know it they will become huge and you may have more then you need! If this is a problem you are experiencing you can cut them into spears for pickling or you can shred and freeze it for future use. Tomatoes, peppers, cucumbers and onions will start to ripen now, depending on your season and the age of the plants you may already be enjoying them. Melons, pumpkins, corn, celery and large squash are still in the early stages, continue to feed every second week with an all purpose fertilizer. The most important job in our gardens during the summer is consistent watering and weeding. Both are fairly easy to maintain but there are ways to improve upon the daily task. Because lets face it, weeding is one of those necessary evils that has to be done. Weeds if left unchecked will quickly take over your garden. They are competing for water and nutrients from the soil that you would rather have your vegetables and flowers use. Mulching greatly reduces the amount of weeding required over the summer as well as over time as well. It helps the soil hold moisture which in turn reduces watering. But best of all it enriches your soil and turns your garden space into a nutrient rich growing oasis. Mulching made it possible for me to stay on top of a 4000 sq foot garden, turn a neglected garden space into a very healthy piece of land and eradicate a serious thistle issue. If you have ever battled thistle you understand that that is huge. I was facing an extreme case in a huge space so I went with 2 types of mulch. The first was newspaper. I was thrilled to find an easy and very inexpensive, organic way to battle the serious weed issues in the space. As I mentioned in the Planting Your Vegetable Garden post a few months back I try and space my rows a foot apart (very easy in a 4000 sq ft garden) and I compact the soil between the rows. That compaction is the first step in fighting weeds. Next I placed many layers of newspaper between the rows. I layered it so there were no open spaces and went within an inch of where the flowers and vegetables were growing. Note: do not use the shiny fliers and inserts, they will not break down, only use newspaper. Once all the rows were lined with paper I covered it all with grass clippings. It holds the paper in place, over time it breaks down feeding the soil and makes for a very clean garden. All my grass clippings from the entire summer goes into the garden, continually covering the rows. The first few days the fresh clippings will turn from green to brown. Of course not every situation is as extreme or as large and newspaper is probably not something most people require. I recommend going with just grass clippings to mulch your gardens . The following spring the entire garden is tilled with a rototiller working the grass and newspaper into the soil. With all the moisture from the previous season as well as the winter breaks down the paper and grass even further adding to the soil. After a few season of mulching with grass you will find a noticeable difference in your garden soil. 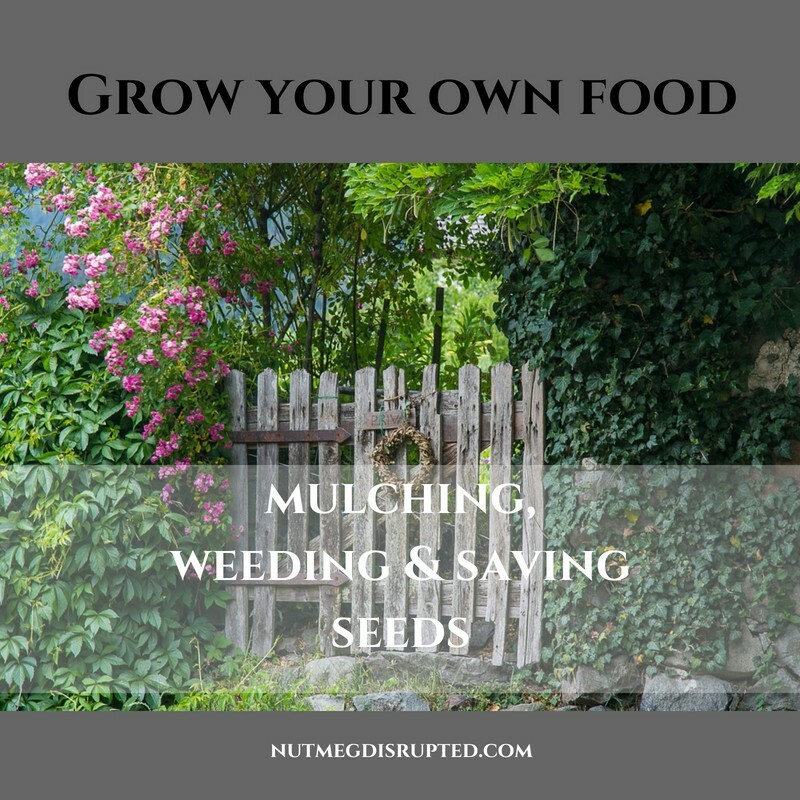 Can I use straw or hay to mulch my garden? In a pinch yes but there are a few things to consider when using these as a mulch. First, it can get expensive. It takes time and equipment to produce bales and farmers depend on bales for part of their income. Second, they are much less nutrient dense and do not add much to the soil. They can also introduce weed seeds to the growing space. Grass in not only free, it is in constant supply from Spring until Fall. Another note on reducing the weed growth in your garden is to water by hand if possible, only watering the rows. This cuts back the amount of water any possible weeds receive restricting their growth even further. You are also conserving water by watering by hand. It does take a bit more time but will save you money as your are only putting water where it will be used. 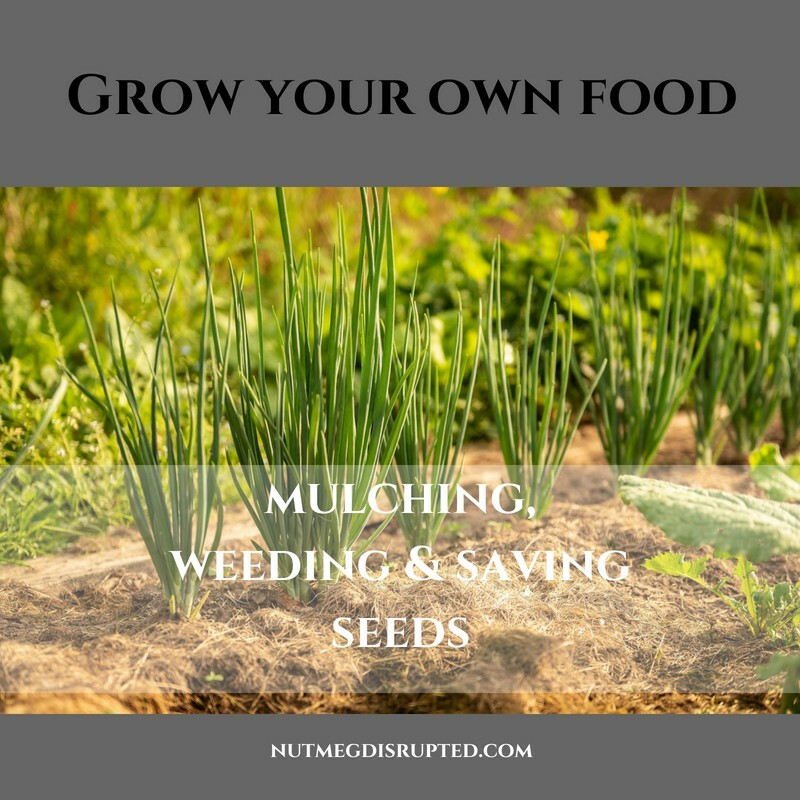 Now lets take a look ahead to next month and a few things to consider if you are wanting to save some seeds from this years crops for next years gardens. Flowers and herbs: the seeds are easy to harvest. Once you have decided which flowers & herbs you want to grow stop dead heading the flowers on the specific plant. Our goal is to allow the flowers to lose their petals and allow the seed heads to form. Those heads are where the seeds are. 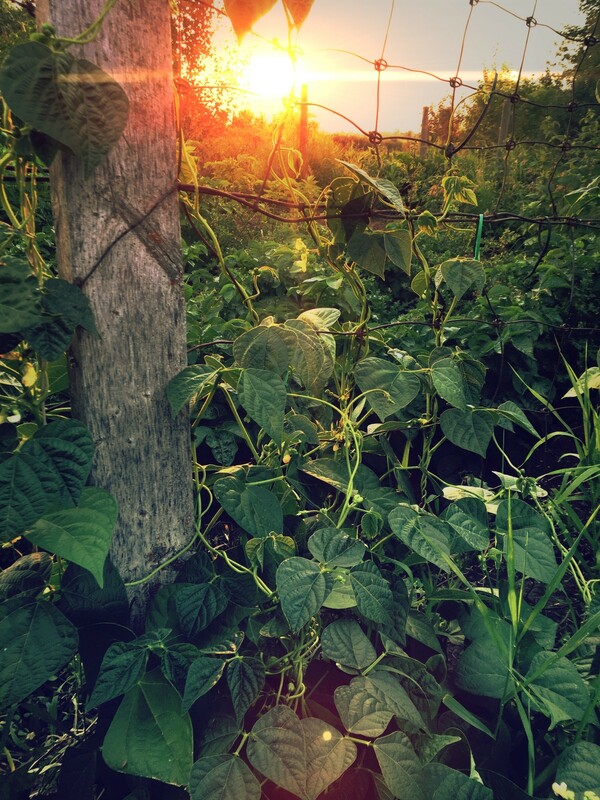 Vegetables: for things like peas and beans we want the pods to be left on the plants until they are dry. For vegetables like tomatoes, squash and melons we harvest the seeds when the fruit is fully ripe. One final note, we want to keep seeds from our most vigorous plants so keep that in mind when deciding which plants you will select from.